This is located at the back of the college, and is used for the teaching of the theory and practise of modern building construction. Some power is provided by solar (there are panels just visible on the roof) and by wind generation (there is a tall mast to the left of the photo). 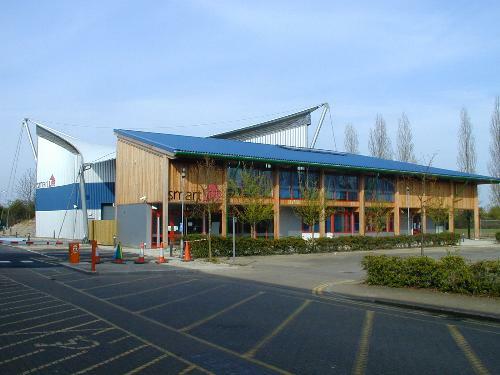 A second SmartLIFE building on the college site was opened in October 2011.